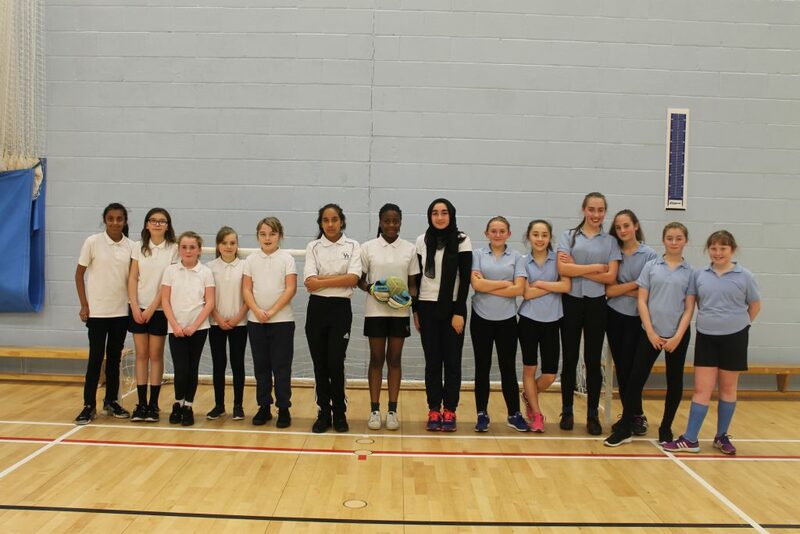 The Derby year 7 and year 8 girls’ football teams showcased their skills at The Excel Sports Hall as they challenged Bury Church to two friendly five-a-side matches. A superb Lauren Cohen brace sealed a magnificent 2-0 victory for the year 7 team, which was just reward for a powerful display. This bodes well for their upcoming tournament in February. The year 8 team was equally as impressive in the first half of their game but despite a great goal from Thaminah Gopal-Momin they could not overcome the one goal deficit and the match ended 2-1. There were encouraging signs for their upcoming tournament, with enough time to sharpen their skills before it begins in January. The girls appreciated the chance to play these highly competitive games becuase both teams were able to become a more cohesive unit and are now fired up for the tournaments to begin!